Clayton has been working full time as an Electric Bass, Double bass and Guitar Teacher Performer/ Session musician since graduating the CPIT Jazz School in 2005. Clayton has a real passion for the Electric Bass and considers this instrument his speciality. In his lessons he covers many of the techniques from bass legends such as Victor Wooten and Jaco Pastorius. 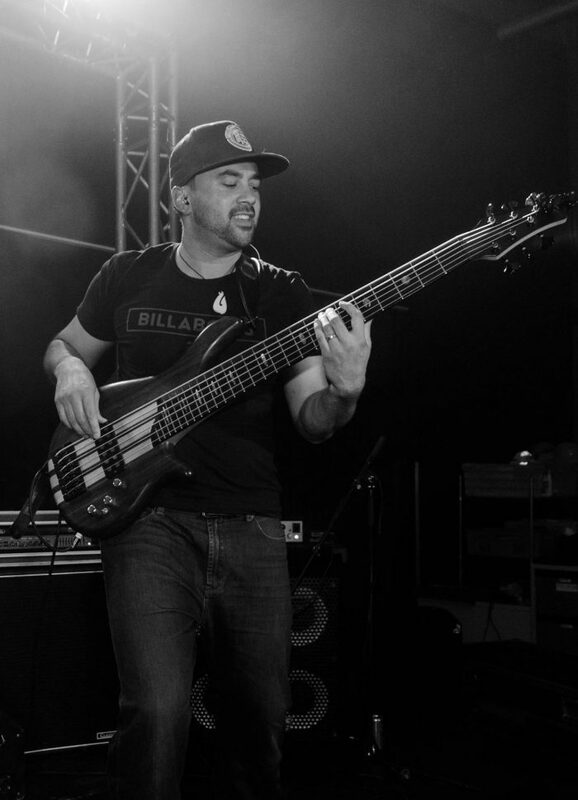 He’s always looking to learn and show students the upper limits of what a bass is capable of by using many different techniques that aren’t often seen on a bass such as Tapping, Slapping, Harmonics and Chords. He has a custom built 6 string bass and loves to help students who are interested in learning how to play basses with extended range. Clayton also teaches Jazz Double Bass and acoustic/electric guitar and has coached many bands who have gone on to success at competitions like Rockquest, Jazz Quest and Southern Jam. This includes several Regional finalists and a National Runner Up at Rockquest as well as the 3 time Best Ensemble and Overall competition winning CBHS Funk band at Southern Jam. Clayton came from a musical family and started playing guitar at the age of 7. He then moved on to learning Electric Bass at the age of 12 before committing to majoring his performance degree on Electric and Double bass. Clayton has been teaching bass and guitar privately since 2003 and prior to the earthquakes was based at a studio at the Chch Music Centre. Clayton has now built a custom made two room studio specifically for recording and teaching at his property located not far from the CHCH CBD for private lessons. As well as teaching Clayton performs very regularly at many jazz and rock venues around town in lots of different groups, often as a stand in session musician. Currently he regularly tours with Christchurch Dub/reggae band Soulsystem and has opened for artists like Katchafire, Salmonella Dub, Nesian Mystik, Jordan Luck and many more. Clayton has played in bands of every style from Funk, DUB, Pop, Rock, Reggae, Blues, Jazz, Theatre shows and Latin. Clayton received the Francis Irwin Hunt Performing Arts Scholarship in 2005 which was awarded to only 5 people in New Zealand that year in Performing Arts. Since Feb 2016 Clayton has been creating online bass lessons on his youtube channel Clays Bass Lessons. Click the youtube link on the right of the page to see what lessons with Clayton are like.